The Republican National Committee is threatening not to partner with NBC and CNN on future presidential debates unless they halt production of recently announced programs about Hillary Clinton, according to letters RNC Chairman Reince Priebus sent to network heads. NBC announced in July that the network would air a four-hour miniseries about the former first lady called “Hillary,” and CNN Films is producing a documentary about her as well. In letters addressed to NBC Chairman Robert Greenblatt and CNN President Jeff Zucker on Aug. 5, Priebus warned that RNC members intend to vote on a resolution at their party-wide meeting later this month to shut out the networks from partnering with the party on Republican primary debates if they do not cancel the programs. Somehow I don’t think Priebus knows the meanings of the words “fairness” and “decency,” but that’s a secondary point (and I actually hope the two networks tell him where to go – I realize the ad revenue rules their world and they don’t want to miss out, but all of those debates should be run by the League of Women Voters anyway). But to refresh Priebus’s memory in the “political ad masquerading as an unbiased production” department, here and here are prior posts from 2006 concerning the “Path to 9/11” non-documentary that aired on the Disney/ABC/RNC network, full of all kinds of questionable assertions about that dreaded day that (surprise, surprise!) aired two months before the 2006 midterm elections (fortunately, based on the electoral outcome, the strategy backfired). …I also wonder if Priebus might have motivations of his own for getting some RNC debates off networks. Given that the Republican Party seems no closer than it was in 2012 to reaching a decisive break between its radical and moderate wings, if I were Priebus, I might want to keep that debate between them as far away from mass audiences as possible. Given how far moderate Republicans like Mitt Romney have had to run to the right during their primary campaigns, one of the things that debates do is generate a vast trove of high-quality clips of things that the eventual nominee will eventually have to try to explain away in a shortened general election season. If I were Priebus, I’d want as few of those debates as possible, and I’d want them to happen further from the public eye so my eventual candidate has less baggage that can eventually be hung around her or his neck. So we’ll see if our corporate media goes weak in the knees when confronted with the “Ooga Booga! Li-Bu-Ruul Bias!” charge once again (though, based on this, I think the GOP needs a dose of “physician, heal thyself” if they’re so concerned with women voters, among other demographics that they’re losing badly). On a related note, I have to tell you that this is a real head-scratcher as far as I’m concerned (h/t Atrios). Normally I definitely side up with David Brock and Media Matters, and I’m sure the NBC miniseries will be nothing but trash TV (and I don’t know how CNN can say they’ll create a “documentary” on HRC without involvement of the news division), but rightly or wrongly, here is where I come down on this. First, this furor assumes that cable TV will hold sway over the outcome of the 2016 presidential election (assuming Hillary runs – wink, wink), and to be honest, I don’t know how you can say that. No, I don’t have viewing demographic numbers in front of me at the moment, but I think the very fact that the two cables in question are even contemplating these productions gives you an idea of how hard-up they are ratings-wise (relative to Fox, of course, which is a whole other discussion). And I want to emphasize that I’m talking about holding sway over the general election; from what I read last year, the ratings for the 2,347,618 Republican primary debates actually weren’t bad – if Priebus and Brock have leverage here, this is it (i.e., CNN and NBC wouldn’t want to lose out). Second, can you really honestly say that there are that many people without an opinion on the Clintons one way or the other at this point (people likely to be swayed by these two productions, which I’m sure will be heavy on the “entertainment” and very light on the facts and historical context)? So basically, I don’t care if CNN and NBC go ahead with these productions; I have a feeling that there will be salacious stuff with no basis in reality (I can see it now…the closet door of the darkened room pops open while Bill and Gennifer Flowers are engaged in carnal acts, and Hillary, holding a gun, shoots Vince Foster, who was trying to talk Bill out of it…fade to black), but there will probably also be complimentary stuff too. As I said earlier, my beef with Priebus is that he’s alleging preferential treatment from the networks, when he definitely benefitted from some of that in the “Path to 9/11” mess. A final observation: how big of a dope is Reince Priebus anyway to end up doing something that ends up playing into the hands of David Brock and Media Matters (and as noted here, just when I was about to post this, Priebus said something else that would qualify as “gobsmacked,” I guess – what a maroon). (Last but not least, I think this is full of great observations from kos). Update 8/9/13: And I would say that this sums up most of what I’ve been saying for the last eight years or so. The Marcellus Shale formation – the second-largest natural-gas field in the world – has been a blessing for Pennsylvania’s workers and our economy. Almost a quarter-million people in Pennsylvania work to produce natural gas from the Marcellus Shale or in related industries. Thanks to the growth of hydraulic fracturing, commonly known as fracking, the Marcellus has been responsible for more than 150,000 new hires in the past three years – almost three-quarters of them state residents. The average salary in core fracking industries is more than $90,000 a year. In 2010 alone, oil and gas development utilizing fracking contributed more than $11 billion to Pennsylvania’s economy. Fracking is safe and environmentally friendly. In Pennsylvania, more than a dozen state and federal regulatory agencies oversee all aspects of fracking, from well development to pipeline construction. Properly constructed wells leave a very small environmental imprint, and about 99.5 percent of the solution used to free natural gas from shale formations is just water and sand. Pennsylvania leads the country in developing safe, effective fracking technologies and policies – and other states are starting to follow suit. If fracking is so “safe” and “environmentally friendly,” then how come the fracking companies, after paying out large settlements to people whose properties have been ruined by fracking, make those folks sign gag orders, extending not just to the parents, but to their kids also, as noted here? (An update is here.) Or, as noted from here, “these gag orders are the reason [drillers] can give testimony to Congress and say there are no documented cases of contamination,” said Earthworks organizer Sharon Wilson. And as noted from here, Pennsylvania is 33rd in the nation in employment; that’s OK, but nothing to brag about as far as I’m concerned. The writer of this column, Kevin Colosimo, serves as a managing partner at Burleson LLP in Pittsburgh, and is a trustee at large for the Energy and Mineral Law Foundation in Kentucky (I sincerely hope that he is based in Pittsburgh and not Kentucky, since the former is smack in the middle of the Marcellus Shale but the latter isn’t, as you can see from the gray area in the map above – it would be pretty low down for him to be praising something that has no chance of blowing up in his face, an expression you can actually take literally when talking about fracking). WASHINGTON, D.C. – Congressman Mike Fitzpatrick (PA-8) ignited a bipartisan push Thursday (8/1) with Congresswoman Cheri Bustos (IL-17) to ensure our nation’s veterans play a critical role in rebuilding our nation’s infrastructure with the introduction of the Fairness to Veterans for Infrastructure Investment Act. “With the unemployment rate for returning veterans remaining far too high, it is common sense that they should have access to the contracting preferences available for transportation projects,” Bustos continued. This is more distracting feel-good pabulum that is yet another feint to burnish Mikey’s alleged “moderate” bona fides while his utterly lunatic U.S. House “leadership” fiddles as our country burns. And that is because, as noted here, Dem U.S. House Rep Rosa DeLauro introduced the National Infrastructure Development Bank Act of 2013 on June 27th, but no vote was scheduled (there was no other activity of any kind, apparently). On top of that, the Water Infrastructure Resiliency Act was introduced by Dem U.S. House Rep Lois Capps on February 15th here (same story). Well, guess what? As noted here, Republican U.S. House Rep Tom Marino of PA also introduced the Energy Infrastructure Improvement Act, and that is currently in the same limbo as the other two bills (the people who have signed on as cosponsors automatically makes me suspicious about the bill’s intent, but it is no less worthy of a vote than the other two). So the utter, craven failure of the House Speaker and Majority Leader cuts both ways. With that in mind, this tells us why the federal government should have a role in infrastructure projects, along with the attendant benefits (for example, does anything think we actually would have our highway transportation system from coast to coast if it had been left up totally to the states?). And this tells us how the Repugs have blocked transportation infrastructure projects, thus hindering our recovery (though they have no trouble with funding infrastructure in places like Afghanistan, as noted here). Mikey and Cheri Bustos can introduce all of the bills giving the military preference on infrastructure jobs that they want (which is fine by me and commendable, actually), but it won’t matter if there’s no infrastructure funding forthcoming from this wretched Congress. Besides, on the subject of the military, I never found out why Mikey voted against a combat pay increase (here) or a guarantee to pay our military in the event of a government shut down (here). With all this in mind, if you really want to do right by someone from our military, click here. Update 8/16/13: And it looks like Mikey wants to ultimately phase out credits for wind here, which, as far as I’m concerned, is a dumb idea (would the cost savings make that much of a difference?). Wonder if he’d dare do the same thing for Big Oil, as noted here? Do I even need to ask (seeing as he once voted to cut funding of clean energy here)? Vague terrorist threats shutting down nineteen of our embassies, Russian strongman Putin thumbing his nose at President Obama, Iran jerking our chain – the U.S. hasn’t looked this cowardly on the world stage since the Jimmy Carter administration. Here at home, too, we’ve gone back to the Carter future; unemployment is high, Keynesian economics are all the rage, our professorial president is increasingly whiny and ineffectual; all that’s missing is a cardigan sweater and that infernal violin. President George W. Bush is widely scorned these days for attempting to export democracy to the peoples of other lands; Mr. Obama, like Carter before him, has sought kindness and justice from the likes of Hugo Chavez and Bashar-Al-Assad. Which is more naïve? Naivete is costly. Both the Carter and Obama administrations have been distinguished by the rare murder of an ambassador. So was the administration of Former President Highest Disapproval Rating In Gallup Poll History; this tells us that U.S. Ambassador David Foy was murdered in Pakistan in 2006 (and if you want to real the real story of what happened under Number 43 on this score, click here). (In 1979) Presidents Carter and Brezhnev (sic – Brezhnev was the Soviet Premier) sign SALT II treaty, setting ceiling of 2,400 strategic missiles and bombers on each side, to be reduced to 2,250 by 1981. After Soviets in- vade Afghanistan, US withdraws SALT II from Senate, but both governments say they will abide by provisions. In December NATO decides to deploy 572 US Pershing II and cruise missiles in Europe starting in late 1983 to counter threat from Soviet SS-20s targeted on European cities. Who today believes that ObamaCare is the best possible answer to reining in the cost of healthcare? I do, for one, based on this (#1 just for starters). Finally, I have to tell you that I’ve been quietly fuming for the last week or so about this pic from The Philadelphia Inquirer over the Rolling Stone story on Dzhokhar Tsarnev and his brother and their alleged involvement in the Boston Marathon bombing (sticking with terrorism). Yes, I get the fact that Tsarnev the younger was photographed with a background that would normally be reserved for a rock star that is popular at the moment. However, the cover makes it clear that the magazine quite rightly considers him to be a “monster” (how that constitutes “too friendly” for the tastes of the Inquirer is something I cannot fathom). Also I wonder how many of the people who screamed about the magazine’s cover actually took the time to read the story by Janet Reitman? Like just about everything else I’ve ever read in Rolling Stone, it was thoroughly researched and written very well. The story takes you inside the life of this kid, including his family, friends, and lifestyle (I was surprised by how plentiful pot apparently is on college campuses, if the Cambridge area is any indication – I didn’t know parts of the first “Harold and Kumar” movie were a documentary; yes, I’ve been out of that loop for a long time). In addition, while I respect the fact that Tsarnev and his family faced great financial difficulty, I cannot imagine how two parents could emigrate back to Russia two years ago (though they were separated for a time) and leave their four kids at the mercy of whatever fate befell them in this country, including Dzhokhar, his older brother (who really did call the shots) and his two sisters, who ended up in arranged marriages and apparently disappeared (and yes, I know this is partly a cultural issue, but as far as I’m concerned, that’s no excuse on the part of the parents). It’s hard to say what exactly led to the Tsarnev Brothers’ murderous and terroristic behavior – whether or not their impulse for violence existed all along, how much of their radicalism was fostered by the disintegration of their family and older brother Tamerlan’s burning desire for jihad (Tamerlan was a Golden Gloves boxer), et cetera. But this to me is a hallmark of good reporting; the story makes you think about it enough to try and connect those dots on your own. Does the story make me feel sorry for either of the Tsarnevs? Hell no! The older brother got what he deserved as far as I’m concerned, and at a minimum, I hope the younger one rots in prison (the story tells us that Dhzokhar apparently had a pretty casual attitude while the carnage went on and the manhunt ended up shutting down the city of Boston – let’s give him the rest of his life to think about his behavior, unless he ends up getting a date with a needle). 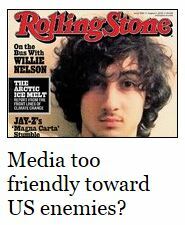 It’s easy to bash Rolling Stone as some kind of a nutty, left-wing-hippie publication. That of course is utterly wrong (and I thought the paper has done a good job trying to defuse the cover controversy). It’s obviously a lot harder to give it credit for crafting exemplary journalism. What a pity. Update: And I guess it would be a good idea to link to the Rolling Stone piece too, wouldn’t it (here). RNC Chairman Reince Priebus blasted the Democratic National Committee for a new website that collects personal information as part of a “thank you note” to the first responders of last week’s Boston Marathon bombing. In a tweet posted Monday afternoon, Priebus charges that Democrats are using the note to gather names and contact information for future fundraising asks (sic). Can you smell the desperation from their side yet, people? They’ve been attacking Obama ever since January 21, 2009 in an effort to find ANYTHING that looks remotely like the legitimate scandal they would eternally cherish…and they’re coming up absolutely empty (or something that could be associated with him somehow, however tangentially in this case). And accusing the Dems of trying to make money off of terrorism is particularly pathetic coming from the Repugs, seeing as how they have exploited TERRA! TERRA! TERRA! for fundraising purposes in Montana (here) and Minnesota (here)…they’ve probably done it all over this country, but those are the only specific locations I can find at the moment. And as noted here (from a Boston Herald story), a “GOP fundraising insider” was accused of transferring a not-insignificant amount of dough to a “terrorist camp” over six years ago…the story was met with a collective yawn by our bought-and-paid-for corporate media. Actually, given the Repugs and their hatred of public sector employees (you know, people with “dumb” jobs like police, firefighters and teachers) and the fact that some of them acted in typically heroic fashion after the Boston Marathon attack, it wouldn’t surprise me to find out that the Obama folks are trying to set up a job bank for them in the event that some of them end up losing their jobs due to the “sequester” (in which Man Tan Boehner infamously claimed that he got 98 percent of what he wanted, let’s not forget). Over the past several decades, traditional forms of Islam have been challenged by radical variants, which often latch onto ethnic and tribal resentments. Disaffected, angry young men can be particularly receptive, causing turmoil in families, mosques, regions and countries. It’s probably a “tribute,” once again, to the courageous men and women of law enforcement in this country (harking back a bit to the prior item). I don’t draw a differentiation between radical Islamists and home-grown terrorists; they’re both, at heart, cowards who primarily want to frighten us into giving up our liberties. And unfortunately, they’ve been more successful than they should have been (and that comment is aimed at both of our major political parties, as well as the rest of us). There were 149 of these (“Patriot” militia) groups in 2008, by our count. That number as of 2012 was 1,360. That’s 813% growth in four years. The way to combat this is through calm vigilance, determination, and adherence to the rule of law (also, the next time one of these numbskulls claims that “Obama wants to take our guns,” we could try to patiently explain that, assuming that were even possible and he had a wish to do it, don’t you think he would have done it by now?). Besides, it’s not as if incidents of terror and bombings are exactly new to this country, as noted here (Rachel Maddow talked about this last night). We’ll leave any notions of a “superpower of assimilation” (sounds like something out of DC/Action Comics) to Gerson and the equally clueless horde of Beltway bloviators (and on the subject of the Boston bombings, I thought this was interesting…also, the next time anyone is quick to blame Muslim extremism, it might be a good idea to read this). Finally, I should note the departure of a true hero, and that would be Bob Edgar; this reminds us that he was a former U.S. House Representative, head of Common Cause, and a United Methodist minister. It should also be pointed out that he definitely wasn’t a Democratic Party ideologue under any stretch of the imagination; as noted here, he once drew comparisons to the Vietnam and Iraq wars, and he was arrested here when he, along with a group of peaceful protestors, knelt and prayed in the Capitol Rotunda for increased social services funding (We can’t have that in the “age of austerity,” now can we? And more’s the pity that there wasn’t more of a religious presence from other denominations.). As former head of Common Cause, Edgar once called out conservative lawyer James Bopp, Jr. for channeling millions of dollars into the 2010 midterm elections here (and we know how that turned out – last bullet). Also, here is a link to some of Edgar’s prior appearances on the Democracy Now! program. When I think of people who have helped to inform my political opinion over the course of my life, I immediately think of individuals like Molly Ivins, David Sirota, Gene Lyons, Mark Shields, and precious few politicians, particularly of the present era. Bob Edgar is the utterly rare exception. I can’t recall an individual whose convictions in his public and private life remained as steadfast as those of Bob Edgar. We as a nation and a people are better for his service; the challenge is now left up to us to fill the sizeable void created by his passing through our own selfless acts on behalf of the ever-growing numbers of our countrymen in need. …a new book — “Who’s Counting?” by John Fund and Hans von Spakovsky — charges that Al Franken’s 2008 defeat of incumbent Republican Sen. Norm Coleman may be directly attributable to felons voting illegally. Coleman led on election night, but a series of recounts lasting eight months eventually gave the seat to the former Saturday Night Live star. Later, a conservative watchdog group matched criminal records with the voting rolls and discovered that 1,099 felons had illegally cast ballots. State law mandates prosecutions in such cases; 177 have been convicted so far, with 66 more awaiting trial. Franken’s eventual margin of “victory”? A mere 312 votes. I don’t mean to be disrespectful, just instructive, but I’d like to comment on the comments of Sen. Coleman and Gov. 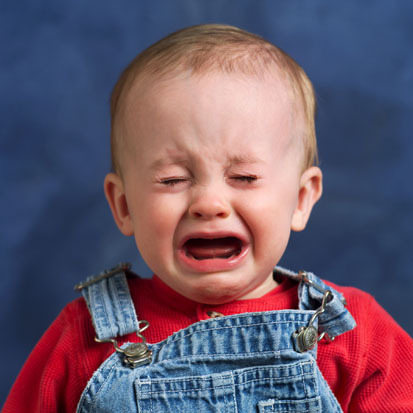 Pawlenty. As we know, Coleman won the 2002 Senate election 11 days after incumbent Sen. Paul Wellstone was killed in a plane crash. Polls showed Wellstone was going to win that election. For Coleman to call Franken “an accidental senator” is tragically ironic, for there are some who believe Coleman was the original accidental senator. As for the governor, he has spoken three times about the recount, and he’s been a bit fast and loose with his facts. First, in the early days of the recount, he spread — on Fox News — the completely untrue story about Minneapolis ballots that were supposedly being driven around in the alleged trunk of an unknown and non-existent elections official. He spoke of this days after it was reported that the story was a fable. Later, in a call with reporters, he overstated by thousands of percentage points the increase of absentee voters in 2008, trying to say that Franken won the election because of that. In fact, Franken won the recount by 49 votes BEFORE absentee ballots were counted. Media Matters has a typically thorough takedown of Fund and von Spakovsky here, pretty much destroying their evergreen charges that Al Franken somehow managed to steal the Minnesota U.S. Senatorial election four years ago. This is par for the proverbial course for Fund and (in particular) von Spakovsky; this tell us that the latter “served” as a Justice Department lawyer who was also Republican Party chairman in Fulton County, Ga. before going to Washington; while in the Peach State, von Spakovsky worked towards requiring Georgia voters to have photo identification, which (as we now know) disenfranchises primarily Democratic voters. In the typically inside-out world of Republican Party politics, this of course makes Fund and von Spakovsky the perfect choices to scream about election impropriety (when others are responsible, of course). Next, I give you more hilarity from Flush Limbore (here), who said that “some guy” apparently told him that President Obama had had the worst grades of any Harvard student (typical). Gee, I wonder if that’s why Laurence Tribe, one of Obama’s former professors, once called the president “the best student he ever had” here? You know what, Foxies? Why don’t you just stick to doing what you do well (as illustrated below) and leave news/political commentary for the grownups (I can dream, can’t I?). So who was it, Mr. Vice President, that broke those slave chains? It was the Republicans. Republican Abraham Lincoln issued the Emancipation Proclamation and signed the Thirteenth Amendment outlawing slavery. It was Republicans who passed the Thirteenth, Fourteenth, and Fifteenth Amendments to the Constitution that abolished slavery, provided for equal protection for former slaves, and extended the suffrage to them. Every vote cast against those constitutional amendments was cast by a Democrat. Every vote cast against every Civil Rights Act in the 19th century was cast by a Democrat. (The 1965 Voting Rights Act) passed the Senate by a vote of 77 to 19 (on May 26th of that year), with 47 Democrats and 30 Republicans in support and 17 Democrats and 2 Republicans opposed. And of course, like Fund and von Spakovsky, Blackwell doesn’t know anything about disenfranchising African American voters, among his other exploits as Ohio’s former Secretary of State, as noted here…not much he doesn’t. Former Democratic Rep. Artur Davis (Ala.) will speak at the Republican National Convention later this month in Tampa, Fla., the Republican National Committee (RNC) announced Thursday. Davis co-chaired President Obama’s 2008 campaign and seconded his nomination at that year’s Democratic National Convention, but aligned himself with Republicans after losing a Democratic gubernatorial primary in 2010. Davis campaigned with Mitt Romney on Wednesday in Virginia. I’m not sure that there’s a more pitiable character in our national politics right now than Artur Davis (I mean, what with “Goodhair” Perry, Little Ricky, Baby Newton Leroy, and The Pizza Man having happily receded into the media background). So what, is Davis going to go all “crazy Zell Miller” from the 2004 Rethuglican National Convention on us now? Oh, and if it isn’t disgusting enough for Davis to try and conflate JFK with The Sainted Ronnie R, it should be noted that he also invoked the memory of Rosa Parks too. Don’t be fooled by the clichéd announcement (of Davis’s party switch). Davis defected for all the wrong reasons. He left the Democrats out of personal pique — a feeling of rejection left by his humiliating loss in the Alabama Democratic primary for governor. For seven years, Davis was a rising star in Democratic circles, a bright and promising member of Congress, a well-educated representative of the post-civil-rights era of black leadership. Elected to Congress in 2002, he defeated 10-year incumbent Earl Hilliard, whose many ethical lapses and support of Middle Eastern tyrants had made him an embarrassment. But Davis ¬— who is nothing if not ambitious — made a serious misjudgment in 2010, forfeiting his secure post as representative of Alabama’s 7th congressional district to run for governor of that state. As a black Democrat, he would never have been elected to the helm of one of the most conservative states in the union, but he was widely expected to win the nomination. That was before Davis fell prey to an unfortunate fallacy about moderation and bucked President Obama’s health care plan. Though Alabama, my home state, has one of the nation’s highest rates of uninsured, Davis refused to support the health care plan. There is much in (Davis’s) analysis that is wrong and wrongheaded. For example, Davis credits Bill Clinton for a period of robust economic growth, but says “this is not Bill Clinton’s Democratic Party” — borrowing from Mitt Romney’s recent rhetoric. Both men willfully ignore one of Clinton’s bravest acts: He pressed Congress to raise taxes, which set the stage for that growth. And on the subject of identity politics, Davis is just as wrong. The GOP may have grown more sophisticated about executing its southern strategy, but it remains a tool for dividing voters along racial lines. Davis’ marriage of convenience is unlikely to be a happy one. I know it’s easy to forget that our 40th president was once a Democrat who switched political parties because it suited his political ambitions also. But if Davis has any aspirations towards anything near that height of political power and has made this move with that goal in mind, then it is inevitable that he will find out what “frustration and disappointment” truly means beyond any and all doubt.